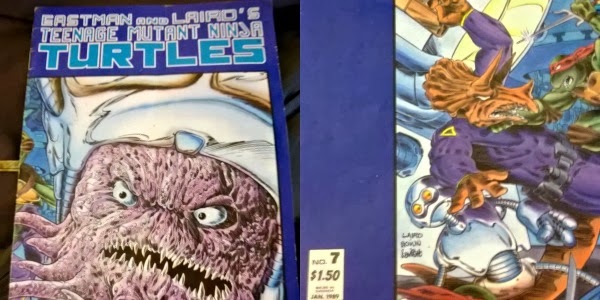 How many of you watched or read the Teenage Mutant Ninja Turtles? When I was younger my father would buy me comics and he would buy himself baseball cards. I don't have many comics left and I didn't keep them in plastic...I should have. 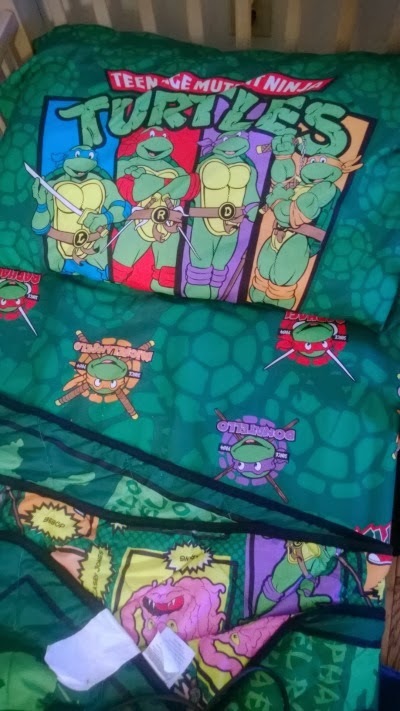 I loved watching the TMNT cartoons as a kid too. Who am I kidding...I will still watch them to this very day. This comic book may be over 20 years old but my son's sheets are new. I love the fact he has TMNT toys and sheets. I watched the live action movies in excitement and found them entertaining. Now with the new movie gossip going through the internet, I find myself cringing. Can this movie be any good? I'm sure I will see it just so I can say "it wasn't so bad" or "WTF did they do?" Putting aside the movies, the comics and cartoons will always remain in my happy memories of childhood.